Arrington, VA’s annual Lockn’ Festival returns to Infinity Downs & Oak Ridge Farm on August 23-26. The 2018 lineup is getting rolled out gradually, with one act announced each day starting today, and the first one revealed is Dead & Company, who will headline. 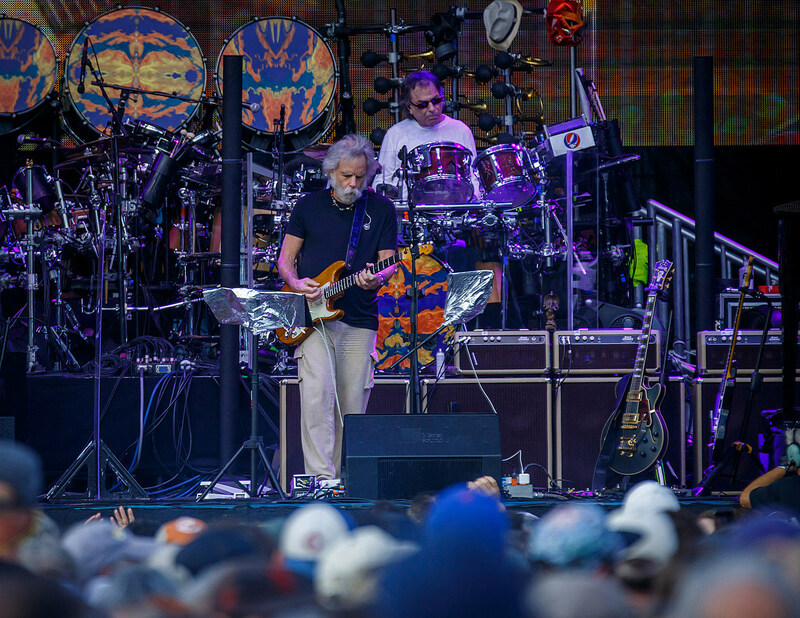 The band — which has classic Dead lineup members Bob Weir, Mickey Hart and Bill Kreutzmann joined by John Mayer and others — will play four sets over the course of two nights. As Lockn’ organizer Peter Shapiro (who also was the promoter for the ‘Fare Thee Well’ shows) said, “this festival was built on the spirit of the Grateful Dead,” and Dead offshoots have played Lockn’ several times, so having the current most popular offshoot headline is of course a big deal. Tickets go on sale Friday, February 9 and the full lineup will be revealed the day before that. Stay tuned for more announcements. Dead & Co also have their Playing in the Sand concert vacation in Mexico this month, and they’re touring before Lockn’, including two shows at NYC’s Citi Field (tickets). Before that, Bob Weir and Phil Lesh will be playing some duo shows, including two nights at NYC’s Radio City in March.